What happens when IoT systems require you to have wireless IoT devices within an area of 30 meters and 100 meters? That’s where medium range radio signals really shine! With a plethora of different technologies to choose from, medium range radio signals are easily the most versatile solution for IoT systems. We define medium range as a radio solution with signal range no greater than 100 meters. Some of these technologies may use a star or mesh node architecture to acquire greater range. Nevertheless, no single link will span more than 100m. These technologies are sometimes referred to as “Local RF.” The most common medium range technologies include ZigBee, Wi-Fi, z-Wave, and Thread. The Institute of Electrical and Electronics Engineers (IEEE) developed the 802.15.4 specification to address the need for a cost-effective solution that supports low data rates, low power operation, security, and reliability. The standard uses several physical radio types and a low-level, over-the-air protocol. It also offers a lot of flexibility. This enables ZigBee, Thread, and other standards to be built on top of the protocol. Designed on top of the IEEE 802.15.4 standard, ZigBee is a self-healing, secure, robust, and mesh-capable protocol. It can scale to thousands of nodes across large areas. ZigBee has been around for ~10 years and has ~1 billion devices deployed globally. The specification continues to evolve. As shown in the chart below, the ZigBee specification builds upon the 802.15.4 link layer and supports the remaining layers. 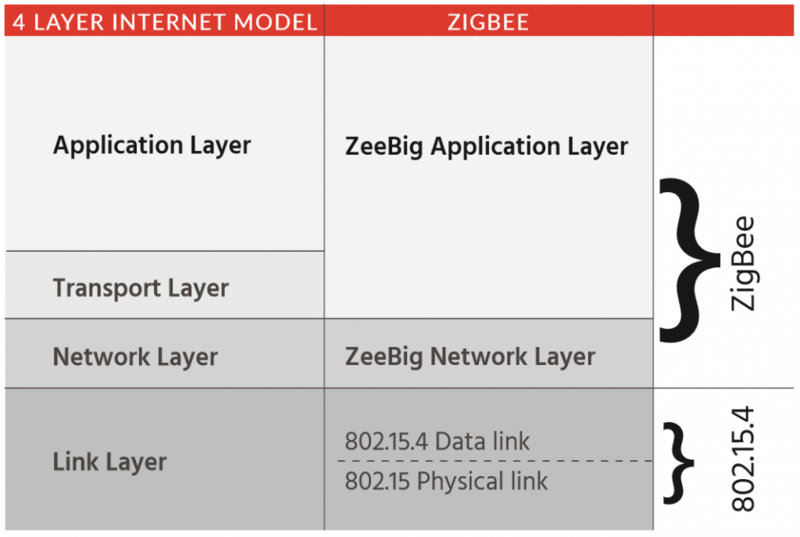 ZigBee supports multiple network topologies, including point-to-point, point-to-multipoint, and mesh networks. The specification offers features like ZigBee Device Objects and ZigBee Cluster Libraries. The ZigBee Cluster Libraries define what kind of product the node is (light switch, power meter, remote control, etc. ), what capabilities it has, security keys in use, routing tables, and more. The standard is completely defined and reinforced through a certification program, resulting in good interoperability between ZigBee devices made by different vendors. 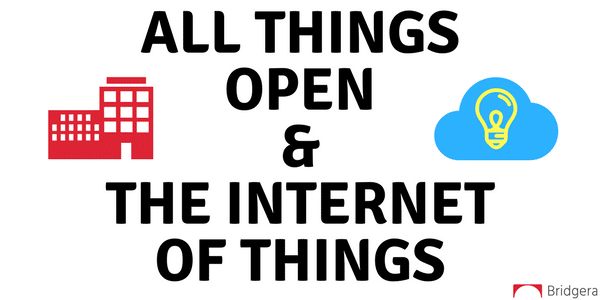 A company must be a member of the ZigBee Alliance before it can bring a ZigBee product to market or use the ZigBee logo in association with an IoT system. Within a ZigBee system architecture, there are 3 device types. The ZigBee Coordinator (ZC), ZigBee Router (ZR), and ZigBee End Device (ZED). There is only one Coordinator in the network. The Coordinator selects the network topology, establishes the network, and administers configuration information. It acts as the gateway in and out of the network, so it must have the power to be on and running at all times. ZigBee routers relay information and move data through the network. They may also function as a sensor node. Since the routers represent the backbone of the network, they must always be on. The End Device is at the edge of the network and is the source or user of the network data. It is usually battery powered and can be placed in low power, sleep modes for long periods of time. The End Device is normally the least expensive device in the network. Routing is the process for selecting the path used to relay the message from the End Device to its destination device. The ZigBee Coordinator and ZigBee Router are responsible for discovering and maintaining routes throughout the network. Thread is primarily used to connect and control products in the home. For ease of integration with an IoT system, it provides a simplified bridge between a Thread mesh network and the Internet. As shown below, it is an open, IPv6 based protocol built on the IEEE802.15.4 link layer and other standards (like 6LoWPAN). Thread uses 6LoWPAN to add large IP packets to smaller 802.15.4 packets using segmentation and compression. This approach allows IP packets to pass directly between the Internet and the local network without the need for custom software. Unlike ZigBee, Thread is not an applications protocol. It defines how to send data within the network but not how to interpret it. Thread can support IP-based application layers, but it does not define one specifically. This allows customers with different application needs to customize their application layers. In this sense, Thread can be thought of as a low-power, mesh networking equivalent to Wi-Fi that improves upon some of the inherent limitations of Wi-Fi for home automation applications. Thread is driven by Google and Nest and is gaining traction in home automation. It will likely be the first 6LoWPAN protocol standard to hit the market and see wide adoption, realizing much of the potential of the smart home. Because it uses the same link layer solution as ZigBee and because hardware suppliers are choosing sides, Thread could be a ZigBee-killer. Thread has learned from past failed attempts and has put a lot of thought into their security and commissioning processes. It offers a component and product certification program. This program aims to ensure easy and secure connection and interoperability between Thread devices. A company must be a member of the Thread Group before it can bring a Thread product to market or use the Thread logo. 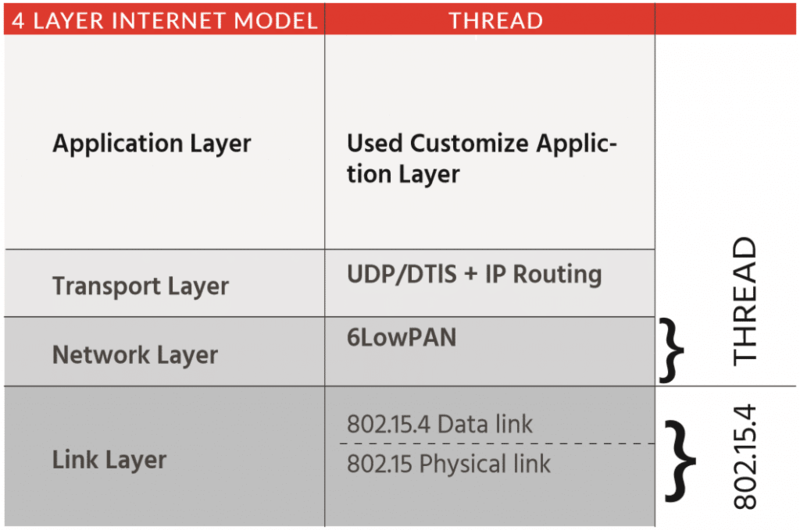 Within a Thread system architecture, there are 4 device types: border routers, routers, router-eligible end devices (REEDs), and end devices. A Thread Network has a limit of 32 active routers. These use next-hop routing for messages based on a device routing table. The device routing table ensures all routers have connectivity and up-to-date paths for other routers in the network. The first router on the network becomes the Leader. It is the decision-maker within the network. If the Leader goes down, another router will dynamically become the Leader. REEDs can act as routers but (currently) do not because of the network topology and conditions. These devices do not forward messages or provide joining or security services for other devices in the network. If a REED needs to become a router, the Thread Network manages the transition. No user interaction is needed. End devices are simply the network’s endpoints. Their only method of communication is through the Parent Router. End devices cannot forward messages for other devices. Provides security at the network, transport and application Product install codes ensure only authorized devices join the network. AES encryption is also used to secure data. Z-Wave is a low-power, RF communications technology, primarily designed for home automation. 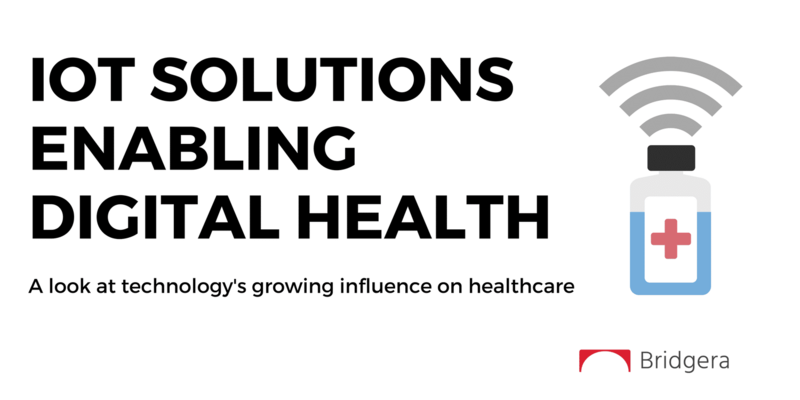 It is a proprietary solution, originally developed by Zen-Sys and later acquired by Sigma Designs. As we write this book, there are around 375 companies in the Z-Wave Alliance with over 35 million enabled products deployed. This has made it one of the more successful home automation protocols out there. Z-Wave offers reliable and low-latency communication with data rates up to 100kbit/s. It is based on the ITU-T G.9959 standard and operates on a single channel in the <1GHz band (868MHz band for Europe and 915MHz band for North America and Australia). It supports full mesh networks without the need for a coordinator node and is highly scalable. Z-Wave uses a simple protocol, which enables faster and simpler development. Sigma Designs sell the Z-Wave chips, making it a sole-source design. The stack is also from Sigma Designs, but there are on-going efforts to create an open-source stack. Z-Wave specifies role types to clearly define how devices/nodes should behave within the network. A node is either a controller or a slave. Controllers set up and perform maintenance operations in a Z-Wave network. They also control the slave nodes and can initiate transmission. Slaves act as end devices with general input/ output functions for carrying out the controller’s requests. The Z-Wave protocol can add and remove nodes in a network through a process called inclusion/exclusion. The primary controller manages this process. The Z-Wave protocol routes transmissions throughout the network. Where needed, nodes act as repeaters. Nodes also share neighbor information. This allows the primary controller to build a network map showing all possible routes between nodes. For routes requiring repeaters, the sending node includes the routing infor- mation in the communication. Each repeater then parses the appropriate routing information and forwards the frame accordingly. Z-Wave specifies the command classes and associated commands to use when designing and implementing a Z-Wave application. It also specifies device types, how they are controlled, and how they appear in the Z-Wave network. It does not, however, specify the application layer. This allows for the development of custom applications. Z-Wave has a large market presence, but suffers from a couple of technical issues. First, all chips are sole-source meaning there is no competition to drive costs down. Second, the use of a single frequency makes the entire network susceptible to interference from other radios. Wireless Fidelity or Wi-Fi is the go-to standard for moving large amounts of data across a wireless network. It is based on the IEEE 802.11 family of standards. Wi-Fi is primarily a local area networking (LAN) technology designed to serve as a wired Ethernet replacement for computer-to-computer communications. Given its popularity within the home and other environments, Wi-Fi is a convenient choice for many developers. 11 – This pertains to wireless LANs and provides 1 or 2 Mbps transmis- sion in the 2.4 GHz band using either frequency-hopping spread spectrum (FHSS) or direct-sequence spread spectrum (DSSS). 11a – An extension to 802.11 that supports up to 54 Mbps in the 5 GHz band. This employs the orthogonal frequency division multiplexing (OFDM) encoding scheme. 11b – An extension to 802.11 that supports connections up to 11 Mbps in the 2.4 GHz band. The 802.11b specification uses only DSSS. 11g – This enhancement (combining the best of 802.11b and 802.11a) provides up to 54 Mbps in the 2.4 GHz band. Note that 802.11g is backward-compatible with 802.11b. 11ac – This enhancement utilizes dual band operation, supporting simultaneous connections on both the 2.4 GHz and 5 GHz bands to achieve data rates >1 Gbps. 802.11ac also incorporates MIMO as well as beam-forming (focuses a signal in a particular direction). Note that 802.11ac offers backward-compatibility to 802.11b/g/n. The newest, commercially available routers support 802.11ac. However, the most common Wi-Fi standard used in homes and businesses (currently) is 802.11n. High data rates support high bandwidth, multimedia streams and very large file transfers. This high data rate requires a lot of power, which may make Wi-Fi impractical for power-constrained IoT systems. All Wi-Fi networks are contention-based TDD systems, where the access point and the mobile stations compete to use the same channel. Because of the shared media operation, all Wi-Fi networks are half duplex. A Wi-Fi station will transmit only when it detects that the channel is clear. While transmitting, the Wi-Fi station cannot hear making it impossible to detect a collision. All Wi-Fi transmissions are acknowledged. If a station does not receive an acknowledgment, it assumes a collision occurred and retries after a random waiting interval. Wi-Fi operates as a star network where there is one central hub to which all nodes/ devices connect. There is a lot of bandwidth, but you may experience a poor signal if you are not close to the access point or if there are a lot of users. Uses WEP, WPA and WPA2 protocols for network encryption and The WPA2 protocol incorporates AES encryption. Medium range radio solutions can provide the best of both worlds for IoT systems, and is one of the most commonly-used communication channels.